PanSIG is an annual conference sponsored and organized by many of the Special Interest Groups (SIGs) of the Japan Association for Language Teaching (JALT). This page gives information about past PanSIG conferences. The first PanSIG conference was held in 2002. 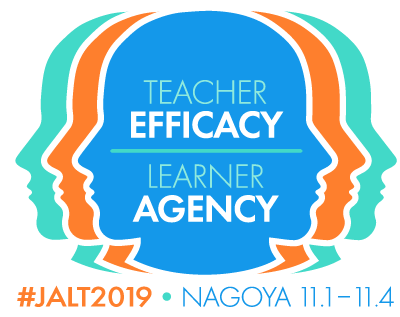 PanSIG 2019 will be held at Konan University, CUBE Campus (Nishinomiya) in Hyogo on May 18-19, 2019. 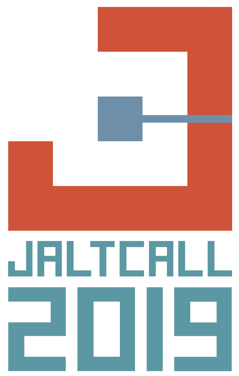 The call for papers is open from October 1, 2018 until December 22, 2018. PanSIG 2018 was held at Toyo Gakuen University (Hongo Campus) in Tokyo on May 19-20, 2018. PanSIG 2017 was held at Akita International University on May 19-21, 2017. The conference theme was "Expand Your Interests." PanSIG 2016 was held at Meio University in Nago, Okinawa on May 20-23, 2016. The conference theme was "Innovations in Education." PanSIG2015 was held at Kobe City University of Foreign Studies on May 16-17, 2015. The conference theme was "Narratives: Raising the Happiness Quotient." PanSIG 2014 was held at Miyazaki Municipal University on May 10-11, 2014. The conference theme was "Sustainability: Making Teaching and Learning Last." PanSIG 2013 was held at Nanzan University in Nagoya, Aichi Prefecture on May 18-19, 2013. The conference theme was "From Many, One: Collaboration, Cooperation, and Community." PanSIG 2012 was held at Hiroshima University on June 16-17, 2012. The conference theme was "Literacy: SIGnals of emergence." PanSIG 2011 was held at Shinshu University in Matsumoto, Nagano on May 21-22, 2011. The conference theme was "Discovering Paths to Fluency." PanSIG 2010 was held at Osaka Gakuin University on May 22-23, 2010. The conference theme was "Learner Perspectives." PanSIG 2009 was held at Toyo Gakuen University, Nagareyama Campus in Chiba on May 23-24, 2009. The conference theme was "Infinite possibilities: expanding limited opportunities in language education." PanSIG 2008 was held at Doshisha University, Shinmachi Campus in Kyoto on May 10-11, 2008. The conference theme was "Diversity and Convergence, education with integrity." PanSIG 2007 was held at Tohoku Bunka Gakuen University in Sendai City, Miyagi Prefecture on May 12 - 13, 2007. The conference theme was "Second Language Acquisition - Theory and Pedagogy." PanSIG 2006 was held at Tokai University in Shizuoka on May 13-14, 2006. The conference theme was "Authentic Communication." PanSIG 2005 was held at Tokyo Keizai University in Tokyo on May 14-15, 2005. The conference theme was "Lifelong Learning." PanSIG 2004 was held at Tokyo Keizai University in Tokyo on May 22-23, 2004. The conference theme was "The Interface Between Interlanguage, Pragmatics and Assessment." PanSIG 2003 was held at Kyoto Sangyo University on May 10-11, 2003. PanSIG 2002 was held at the Kyoto Institute of Technology on May 11-12, 2002. The conference theme was "Curriculum Innovation, Testing and Evaluation."